My husband patiently peeled each grape, cooked down the whole thing, strained it, added the peels back in, added a bit of sugar, and somehow managed not to devour the whole thing while making it. I would have just upended that pan and chowed down, seared insides be damned. My youngest, he of the three-PB&Js-in-a-row habit, is loving his sandwiches these days. Even more than usual. The best part is, there’s another huge bowl of grapes waiting, AND, the vine is only half empty. Oh my gosh, I can smell it from here. Although peeling each and every grape does seem like a true labor of love! it really is, but so worth it. 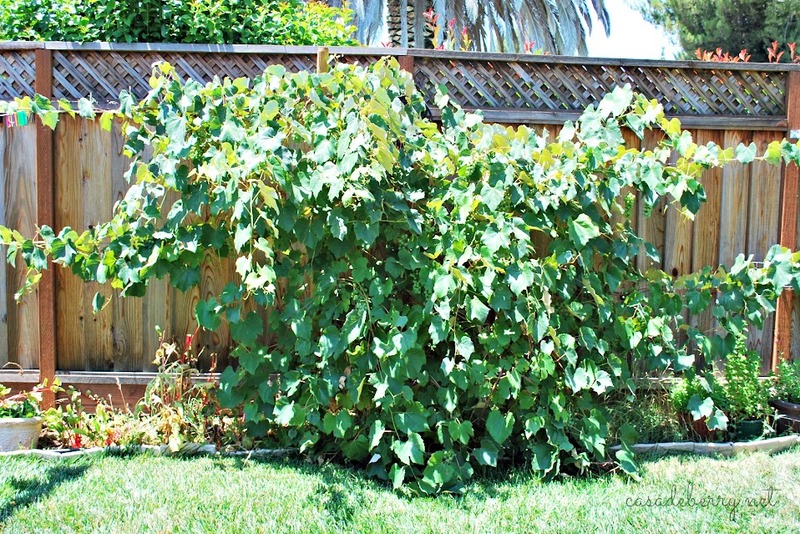 now we have the rest of the vine to tackle!